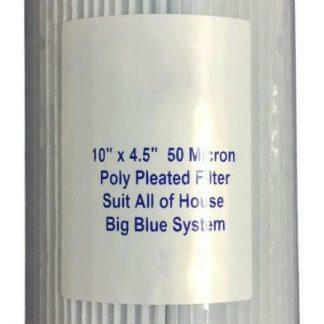 Poly Pleated Sediment Filter – 1 Micron 10″ x 4.5″. Absolute Giardia Crypto rated Big Blue Cartridge. 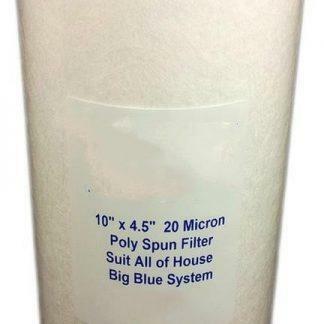 Washable/Re-usable Poly Pleated Sediment Filter. To be used after standard filtration as a final filter to prolong its life and avoid premature blocking as it is a more expensive filter. Used as the 3rd and final filter before entering the house. 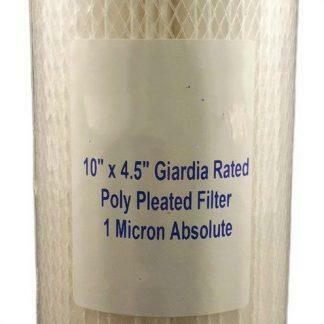 Pleated Hot Water Sediment 5micron 10" x 2.5" BB Pleated Sediment NZ Filter 50micron 10" x 4.5"